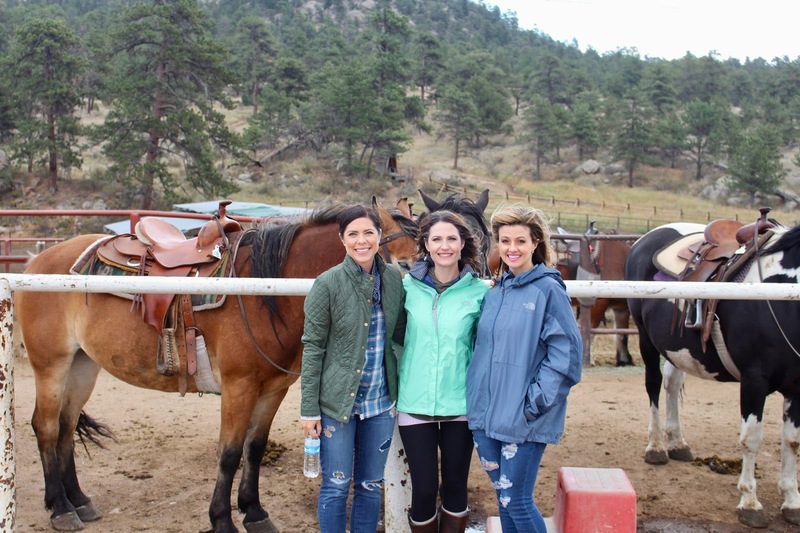 This past Saturday I went on a fun girls day trip to Estes Park! Erica on the right is a friend I have known for about 10 years, we danced for the NBA together! Erica turns 35 TODAY! Happy Birthday friend! She planned a fun day trip to go horse back riding, that is out of my comfort zone but I am glad I went. I met her another friend of hers (middle) and she was great, the 3 of us had a wonderful day. We went on a 2+ hour ride in the mountains in Estes Park and just look at this view I snapped with my camera! And the night before we went the mountains had their first snow of the season, so our snow topped Rockies are back! Let me say this, I had a wonderful day over all AND before I even said yes to going Erica called the stables and asked a ton of question on my behalf. So I decided to give it a whirl, NO I am in no way scared but I don’t agree with riding horses on trails. All I am going to say is that I was right and justified to feel the way I do…. 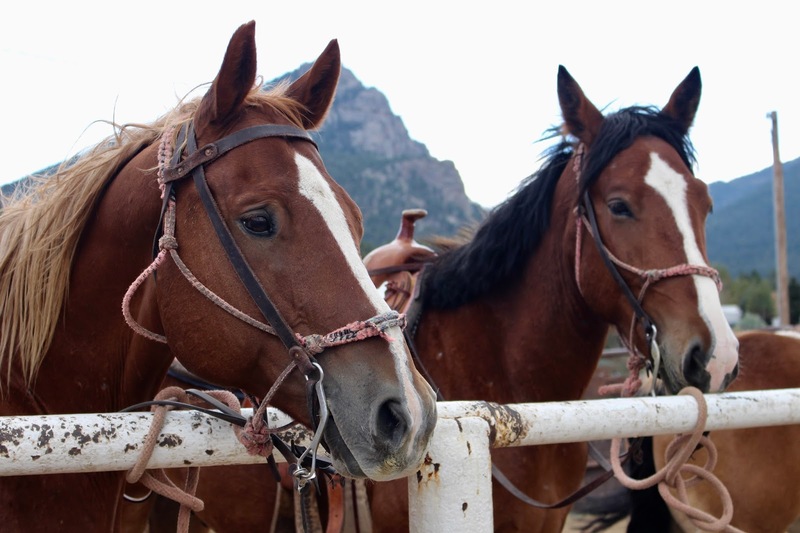 trail horses have a really hard life and I felt an enormous amount of guilt. One and done. I will not be going horseback riding again due to my own personal belief symptom and somethings I witnessed on the ride. I tried to separate myself from the experience and immerse myself into the views. 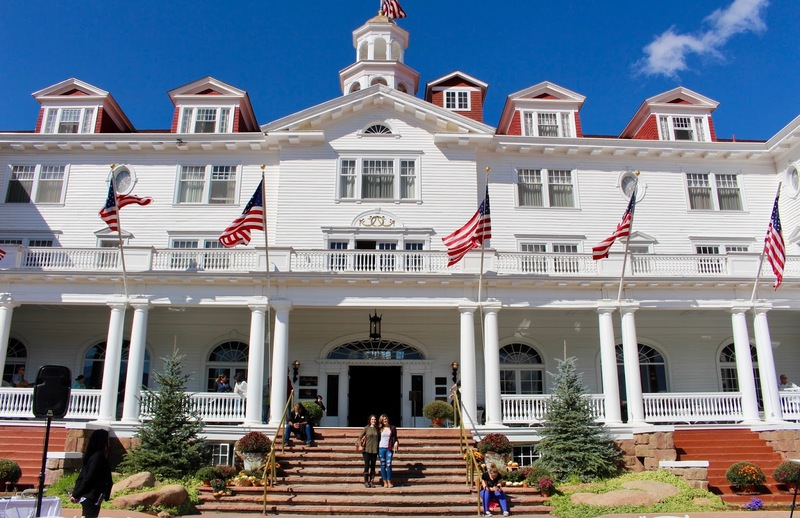 After our ride I would NOT believe that the girls have NEVER been to the Stanley Hotel so I told them we have to go!!! It was as beautiful as always and we got to see not 1 wedding party but 3!!! It was a super busy day at the hotel! We got a table in the restaurant and celebrated Erica’s birthday with a drink and a few appetizers! 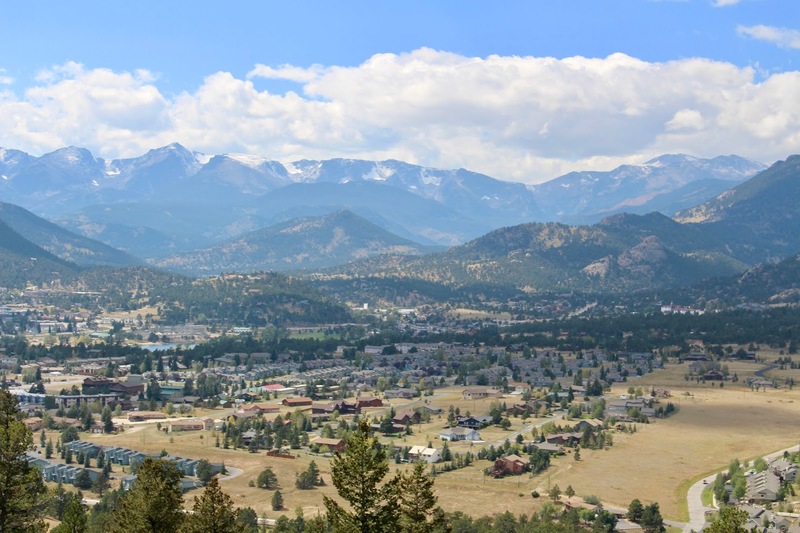 I love Estes Park and I am constantly amazed that I get to live in such a beautiful state with so much to offer!